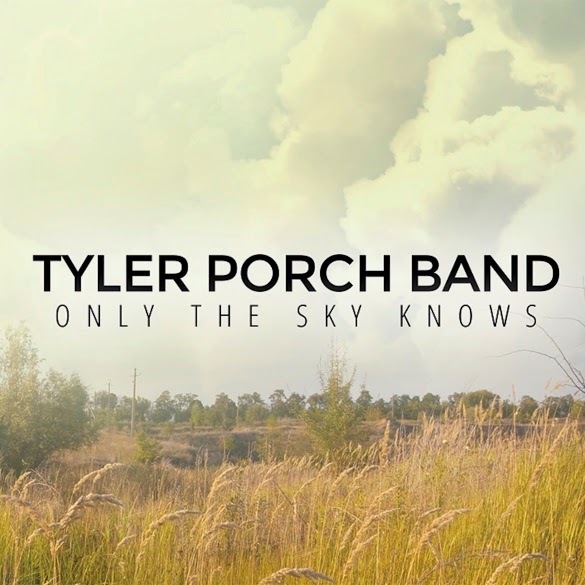 Atlanta, GA – Blues-rock is alive and thriving with the second EP release 'Only The Sky Knows' by The Tyler Porch Band, an Atlanta-based group, formed in March of 2013. Power trios have a long history in rock and blues music, and this trio has every intention of carving their own path into that lineage. Tyler Porch, the 18 year old frontman, takes care of the guitar riffing and vocal responsibilities. Since eleven years old, he's been following in the footsteps of Stevie Ray Vaughan, Buddy Guy, and Albert King. He is currently attending Berklee College of Music in Boston, MA. Brad Kemp (28), holds down the bass in the trio. He has played guitar in many bands in the past, and turned out to be an excellent bassist. Coming from a heavier musical lineage, Brad helps to add a little more bite to the blues base of the band. Joey Robertson (34), the box-banging extraordinaire behind the kit, keeps the band together. Also coming from a heavier musical history, he and Brad give a heavy foundation on which the syrupy sweet blues licks and raw vocals sit comfortably. In support of the new release, the trio performed at Harry A's in Saint George Island (Florida) for a two night stand August 13th and 14th. They will be playing back home in the north Atlanta area for the 29th (Jump Kitchen & Saloon) and the 30th (Pure Taqueria Woodstock).